Motor Racing Legends (MRL) is set to give historic motorsport fans another great treat in 2015. 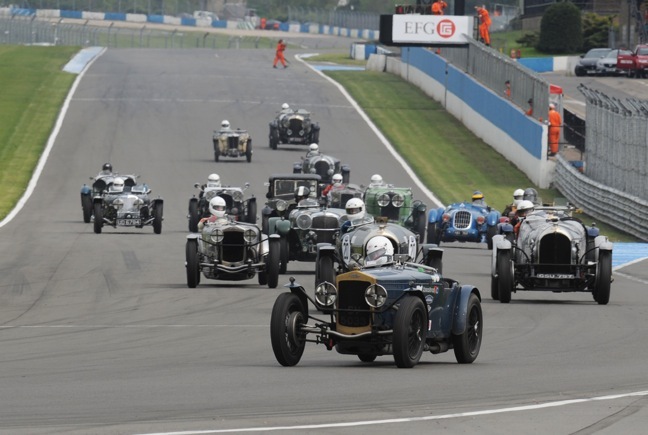 All of its grids will be seen at world-class international meetings, with calendar highlights including a full season for the Historic Touring Car Challenge and some very special races for the Pre-War Sports Cars. The Royal Automobile Club Woodcote Trophy and the Stirling Moss Trophy return in force, as does the Le Mans Legend support race at the Le Mans 24 Hours – this year for cars from 1949 to 1968. The youngest cars in the MRL ‘stable’ of race series, those in the Historic Touring Car Challenge (HTCC), have a very busy season. They’ll be out at the Algarve Classic Festival, Donington Historic Festival and Silverstone Classic and, new for 2015, will take part in a 40-minute Touring Car race at the Spa Six Hours. HTCC features Touring Cars from 1966 and Groups 1 and 2, and Group A Touring Cars, such as raced in the British and European Touring Car Championships between 1972 and 1985. At the opposite end of the age spectrum, the Pre-War Sports Cars return with a vengeance, and will be seen at three major international historic race meetings in 2015. 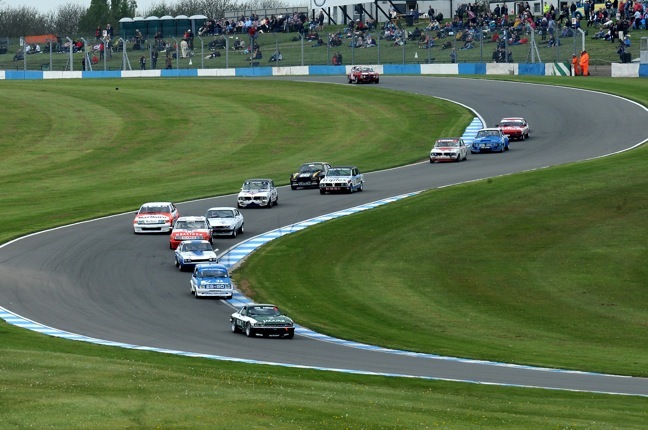 The season starts at the Donington Historic Festival in May. It is 80 years since the first-ever Grand Prix at Donington Park, giving a special significance to the pre-War grid there. For the first time since 2009, the MRL Pre-War Sports Cars will return to the Silverstone Classic, where they will form the oldest grid. And finally, they will head to Portugal in October for the Algarve Classic Festival. The hotly-contested and highly glamorous Stirling Moss Trophy (fresh from its success in winning Race Series of the Year in the International Historic Motoring Awards) and Royal Automobile Club Woodcote Trophy will both be entertaining spectators at five historic motorsport events in 2015. 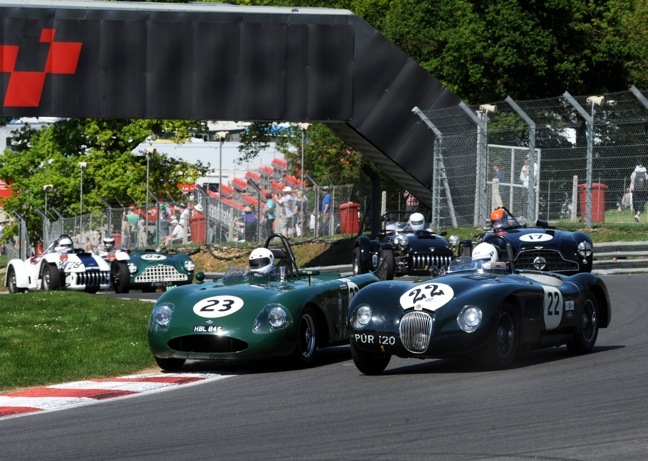 Each grid will be out in force for their own individual races at the Donington Historic Festival, Brands Hatch GP Circuit, Silverstone Classic and Spa Six Hours. And in the Algarve in October, cars from both grids will combine to end the season in spectacular style when they stage a stunning two-hour race into the dark for the Motor Racing Legends ‘50s Sports Cars – always one of t he highlights of this meeting. 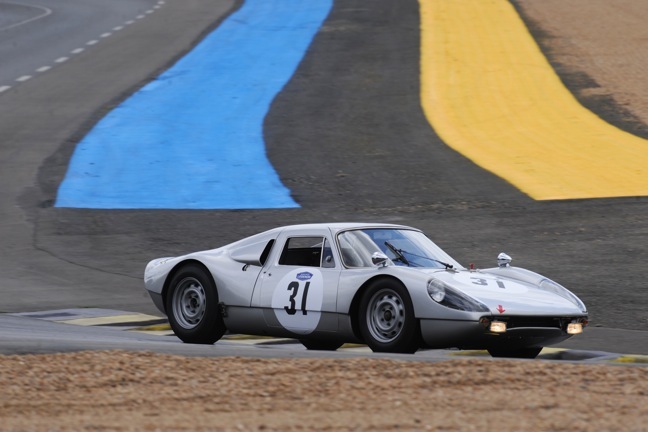 On June 13, Motor Racing Legends will once more stage the Le Mans Legend. A sensational grid of 61 historic Le Mans cars will race on the full Le Mans circuit just a few hours before the start of the modern 24 Hours endurance event. The age range for cars taking part has been extended for 2015, allowing an even wider selection of iconic race cars to compete in the historic motorsport spectacle that is one of the highlights of the world-famous event. In a change to recent years, cars will be accepted from 1949 right up to, and including, 1968. This will bring such iconic cars as the Ford GT40, Porsche 908 and 910 and Alfa Romeo T33/2 into the mix, in addition to the plethora of sports and GT cars from the 1950s and 1960s that so famously ran at Le Mans in period. Motor Racing Legends’ Chairman Duncan Wiltshire said, “We are very much looking forward to what promises to be a superb season of historic motorsport in 2015. The quality of cars, drivers and events is second to none, and we anticipate delivering a tremendous amount of entertainment to our competitors and to historic motorsport fans. For further information please visit www.motorracinglegends.com.